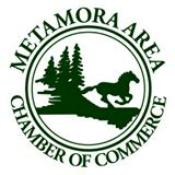 As the name implies, Metamora Country Days and Hot Air Balloon Festival is the definition of a small-town summer festival! Visitors are sure to enjoy the many festivities that include music, games, arts & crafts, fireworks and of course, the balloons! We welcome your participation in our Metamora Country Days and Hot Air Balloon Festival as a Crafter, Entertainer or Parade Participant. Links to applications for these opportunities are listed below. Sponsorship opportunities are also available. We are grateful to our many sponsors who help to make this event possible. You may click on the link to the Sponsorship form and mail the form with your check or fill out the form below and pay on line.